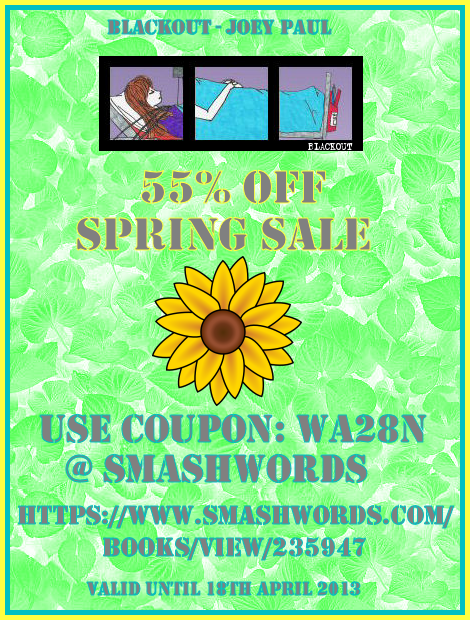 Bug Books: Joey Paul Online: Spring Sale - STARTING NOW! 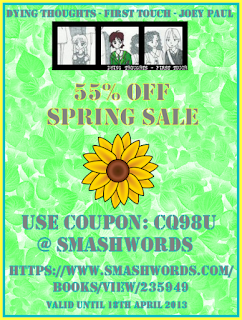 Spring Sale - STARTING NOW! 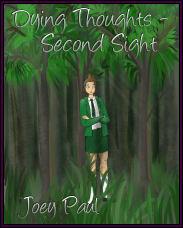 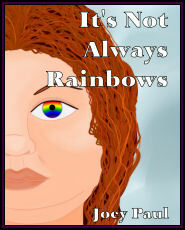 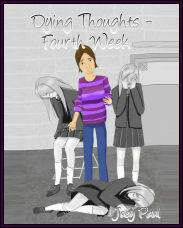 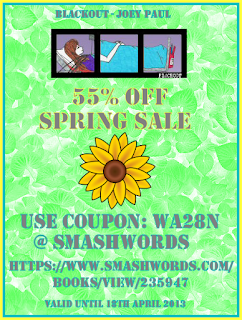 To start off spring, both BLACKOUT and DYING THOUGHTS - FIRST TOUCH will have 55% OFF their normal price on Smashwords. 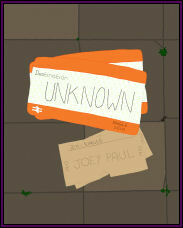 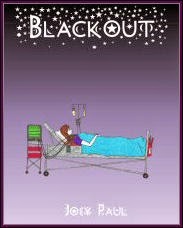 To buy a reduced copy of BLACKOUT, you will need to enter the coupon code WA28N at the checkout. 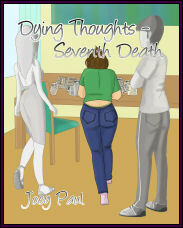 To buy a reduced copy of DYING THOUGHTS - FIRST TOUCH, you will need to enter the coupon code CQ98U at the checkout. 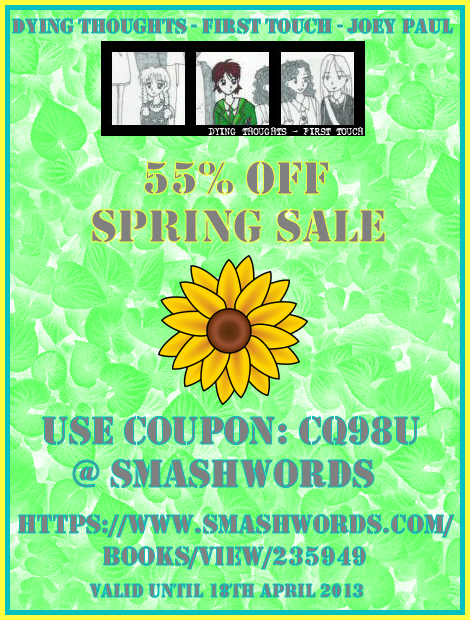 These coupons are only valid until 18th APRIL 2013 and only apply to purchases made through the Smashwords website. 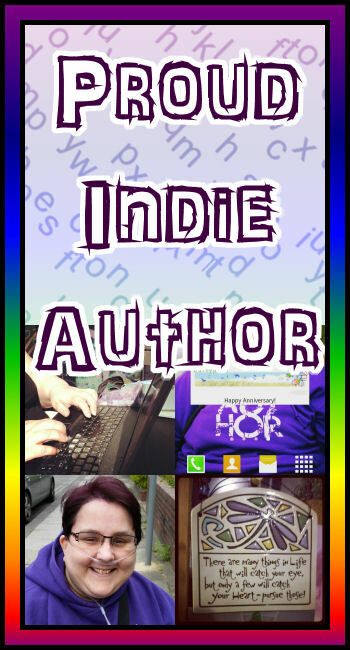 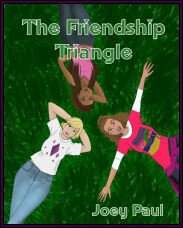 Smashwords provides most formats of ebook, including Kindle, Kobo, Nook and iBookstore. 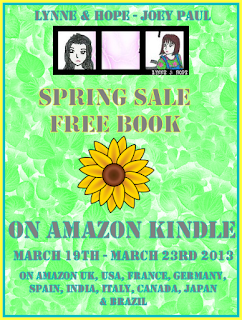 The Spring Sale is also happening on Amazon Kindle. 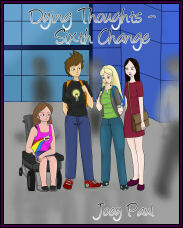 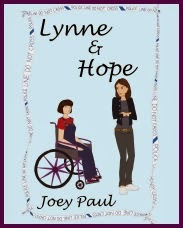 You can get your FREE copy of LYNNE & HOPE for FIVE days starting tomorrow - March 19th 2013. 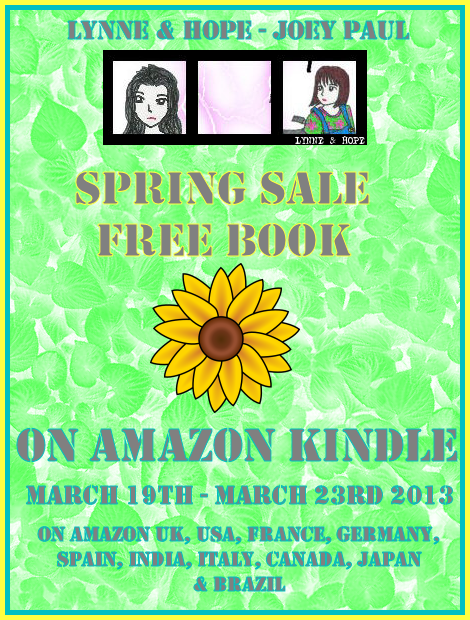 This promotion will run until March 23rd 2013. 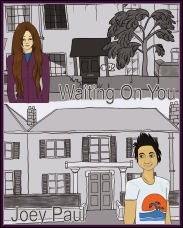 You can grab a copy from Amazon UK, USA, Canada, France, Italy, Spain, Germany, Brazil, India & Japan! 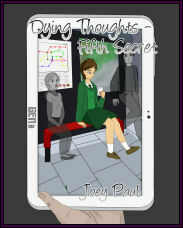 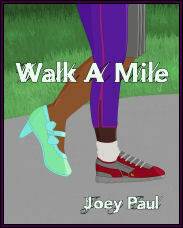 Take advantage of this great Spring Sale and grab three of Joey's books for less than normal price! 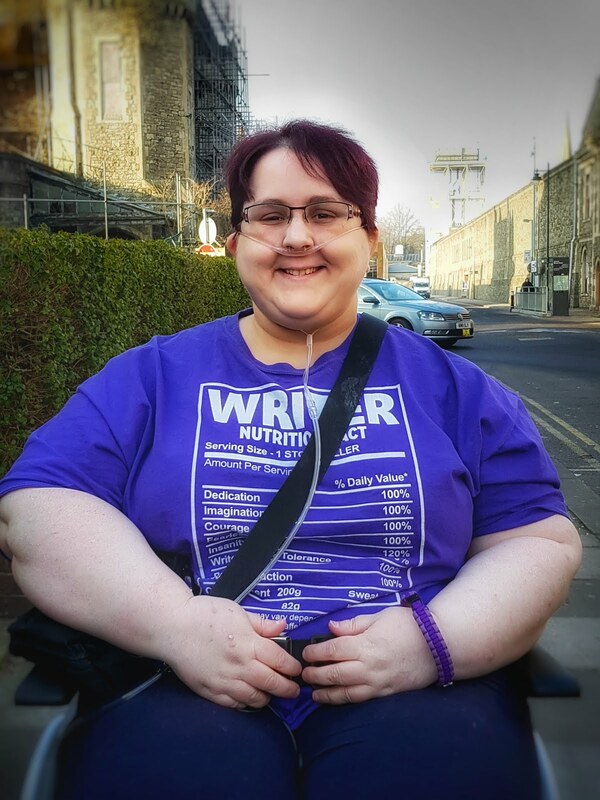 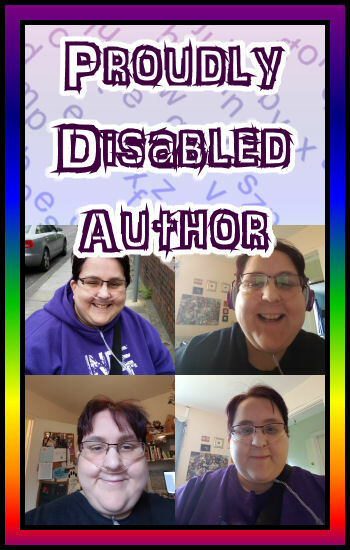 To get up to date information about Joey Paul, remember to follow this blog and her Facebook Page.